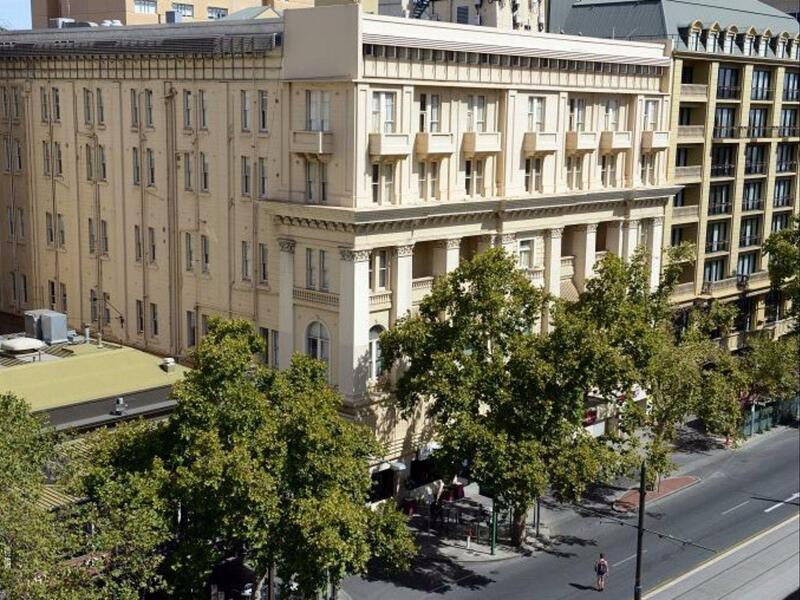 Ada pertanyaan untuk Ibis Styles Adelaide Grosvenor? Terletak di Distrik Pusat Bisnis, Ibis Styles Adelaide Grosvenor merupakan tempat yang sempurna untuk menikmati Adelaide dan sekitarnya. Hotel ini tidak terlalu jauh dari pusat kota, hanya 9.8 km dari sini dan umumnya hanya membutuhkan waktu 11 menit untuk mencapai bandara. Dengan lokasinya yang strategis, hotel ini menawarkan akses mudah ke destinasi yang wajib dikunjungi di kota ini. 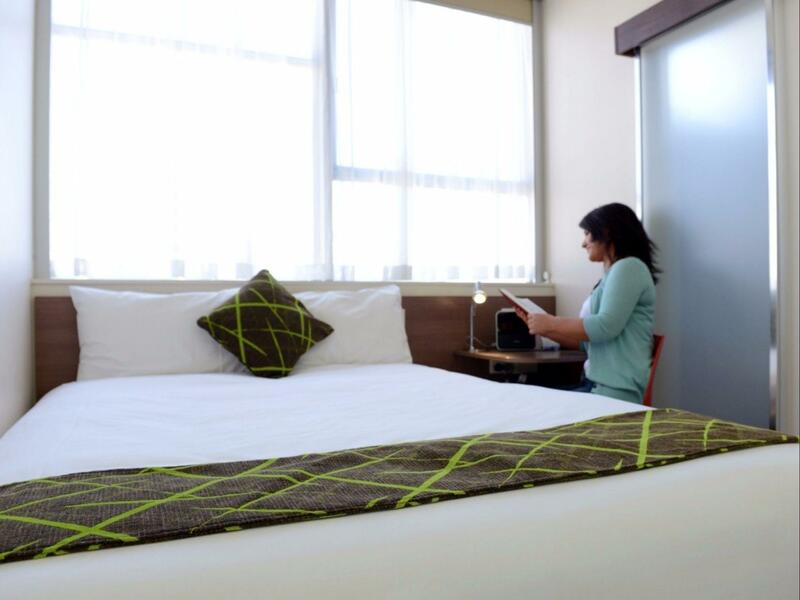 Ibis Styles Adelaide Grosvenor menawarkan pelayanan sempurna dan segala fasilitas penting untuk memanjakan para wisatawan. Para tamu hotel ini dapat menikmati fasilitas di tempat seperti layanan kamar 24 jam, resepsionis 24 jam, fasilitas untuk tamu dengan kebutuhan khusus, check-in/check-out cepat, penyimpanan barang. Akomodasi hotel telah dipilih secara cermat demi kenyamanan maksimal dengan adanya televisi layar datar, akses internet - WiFi, kamar bebas asap rokok, AC, penghangat ruangan di beberapa kamar. Pusat kebugaran di hotel ini adalah tempat-tempat ideal untuk bersantai setelah hari yang sibuk. Apapun alasan Anda mengunjungi Adelaide, Ibis Styles Adelaide Grosvenor adalah tempat yang sempurna untuk liburan yang menyenangkan. I really enjoy staying in this hotel. The location of this hotel is good and the price of this hotel suits my budget. Besides, this hotel is one of few budget hotel are still providing free wifi. Kudos to this hotel. Small bu adequate. room for a short stay. Friendly and helpful staff and a great location for sporting events, casino etc. The card kept failed, we had to go all the way to receptionist to get new keys. not only once but twice during our 7 nights there. Room are too small for the value of money that we pay. all okay if your are business not use this hotel wifi very slow in the today standard ! Stayed here on return from overseas, very convenient location. Convenient for an over night stay. Rooms a bit small but a minor point. 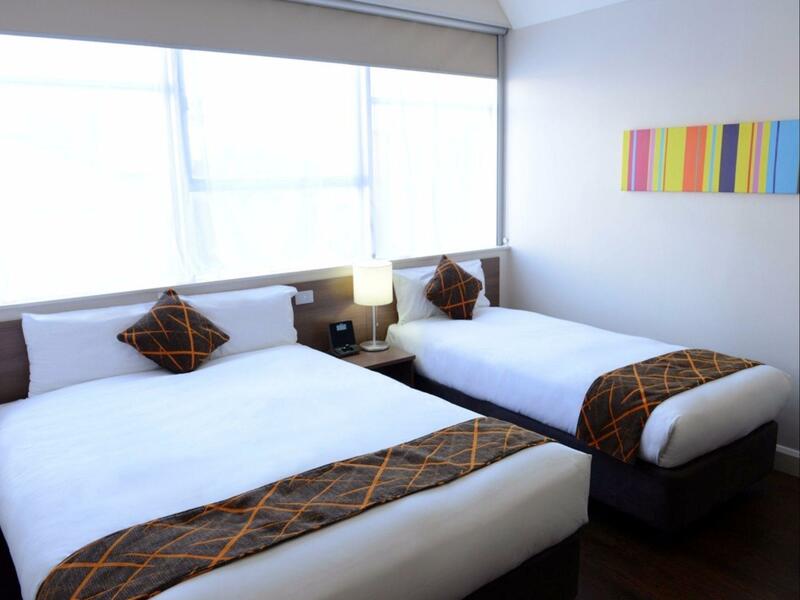 Although location is very very good being next to Adelaide main train station, Entertainment Complex and all the drinking spots besides within historical city area, the room at 3rd Flr we had was just way way too noisy every nights we were there; fri & sat. Sound proofing is next to non existence. And btw, they charge parking but don't tell you upfront, very misleading. Room was cosy, bed comfortable. Pillows needed replacing - was like a slab of cardboard. 11:00 am checkout but don't expect any hot water left. Showers the other morning provided just enough hot water. The surrounding night club noise in our room was quite noticeable but didn't stop us sleeping. Staff were very likeable, friendly and ready to help. The room was hot and the airconditioner was not up to the task of cooling down the room. Adelaide gets hot in summer!! To find my room 358 I had to climb stairs and it was alike a rabbit warren to find my room. Not easy with luggage. The free internet was only in the Lobby and not in the room. The bathroom was small although adequate. Nothing like the photos, the room was extremely small and old looking. Would have been ok for a single person but not 2. Fitness centre not even in the hotel, and very noisy nightclub directly behind us, that was still going at 4am. Did not get much sleep. Would never stay there again. The only good thing was the very polite and friendly staff. I went to the Ibis styles with a group of 12, and everyone was very happy with the hotel. The staff were very friendly and professional and were willing to assist with any queries that we had. It was also in a great location, close by to the railway station, trams, shops and the adeliade convention center. I would definitely recommend the hotel to my peers. Would stay again next time I visit adelaide. Rooms and bathrooms very small which would have been OK if the room was quiet. But street/nightclub noise went till well after midnight and demolition next door started at 7am. Not much sleep in this hotel. The room was a little bit run down and very small (if you have more than 1 suit case you'd need to stack them / only have one open at a time). The staff were excellent though - extremely friendly, helpful and willing to go to any effort to assist. Overall, if you're looking for a cheap place to stay in a good location and are travelling light - it's a good place to stay. Although we didn't spend much time at the hotel, we found it very comfortable and clean. We were pleasantly surprised to find that mulled wine was on offer in the bar/dining area. The snack food was very reasonably priced. A bit surprised the room was so small. The photos deliberately don't depict it that way so got a bit of an unpleasant surprise. Wont stay there again. Bathroom and shower is tiny. Hotel is huge however so it often takes several minutes to go from the lift to your room. It's a bit like one of those 3D mazes inside where you have to go up and down and around just to find your room. Really basic room and as the air conditioner is set automatically I found myself cold at night. Booking online says WiFi available. Prom card in room says high quality WiFi. Wifi was not existent - staff tried to assist but have no control. Cannot be treated as a recommended destination until this is fixed.